Without a doubt, Venice is a unique European city and we’ve all dreamed of drifting along the emerald green canals of the famous floating city. Originally the city was made up of over 100 tiny islands, each one with its own church, square and marketplace. 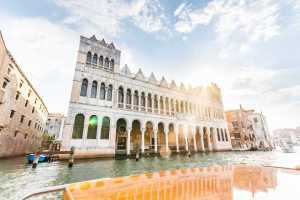 Over the centuries the islands were connected to form the Venice mainland which you can explore by foot or by using one of the city’s excellent transportation options. There’s something to suit everyone, children and seniors can benefit from the convenient Hop-On Hop-Off boat with audio commentary. 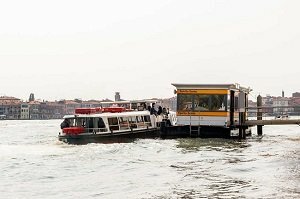 Whereas independent travellers and disabled guests can make use of the city’s Vaporetto water bus service. There are walking tours which will take you far away from the bustling Strada Nova and crowded squares. Walking tours which will introduce you to the local’s neighbourhoods, show you the University of Venice and fill you in on the ghostly legends of the city. 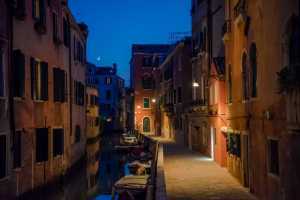 In fact, part of the Venice’s charm comes from its gothic architecture, it’ narrow alleyways and its watermarked walls. Historians shouldn’t miss the chance to roam the fine halls of the Doge’s Palace and marvel at the mosaics inside St Marks Basilica. Couples can enjoy candlelit dinners on beautiful Piazza’s or take a seat in a classic Venetian Gondola. 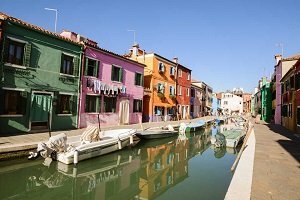 For social visitors, there are local food and wine tours and for those interested in glass-blowing and lace-making there's Murano and Burano Island. 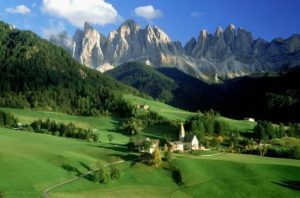 Meanwhile, outdoors lovers can take an excursion from the centre of Venice to visit the gems of the Dolomite mountains. What you may not know is that Venice is more than just one piece of land, in fact the city of Venice is made up of many small islands located on the lagoon. This is a half-day tour to visit 3 of these islands. Cruise across the Venice Lagoon to visit beautiful Venetian Islands. See how glass in blown and how lace is made. Enjoy free time on each island. Although this is a whistle stop tour of the Venetian Islands most travellers have left positive reviews and would recommend the excursion. Customers mention that Murano is worth a visit if you want to pick up real Venetian glass. If you want to see more of Venice than St. Mark's Square then this tour is right for you. St. Mark's Basilica the one of the most photographed cathedrals in all of Italy. Built on a series of islands on a muddy lagoon, the construction is a work of architectural genius. Next door is the equally remarkable Doge's Palace. On this tour you will get to visit both with an expert guide. 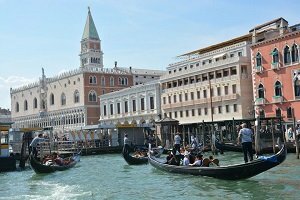 Take a guided tour the two most popular attractions in Venice. Browse the richly decorated halls of the Doge's Palace and admire the golden interior of St. Mark's Basilica. Save yourself hours of your holiday time by skipping the entrance lines. Travellers have left high praise for this tour. Comment's mentions that there are usually huge queues to these attractions and that the tour saves you a lot of time by skipping the line. If you have an interest in history, architecture, art or religion, or if you have a short time in the city. This is a convenient alternative to public transport and an economic alternative to a private transfer. 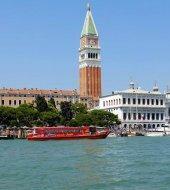 A shared transfer from Venice Marco Polo Airport to Venice mainland or Lido. Meet your transfer directly from the airport and cruise across the Venice lagoon the heart of Venice. Share your experience with a small group of travellers. Enjoy a stress-free airport transfer. Airport transfer by shared water taxi for 1 person and 1 luggage. Generally passengers agree that this is the most convenient way to get to mainland Venice from Marco Polo Airport. Customer reviews indicate that the shared transfer is good value and a quick service. If you prefer to reach your accommodation in Venice without extra hassle and to avoid pricy taxi's then this is a good option for you. The historic city of Venice is a stark contrast to the traditional towns on the banks of Lake Guarda and this is an opportunity to appreciate both landscapes in one day. This full-day tour will take you into the heart of the ‘Floating City'. Swap the lush green hills surrounding Lake Guarda and for the emerald green canals of Venice. Take a classic vaporetto to San Marco Square. Enjoy and orientation tour of the city centre and make the most of free time in Venice. Return transport by coach and boat. This tour is highly recommended among travellers who prefer to base their vacation in Lake Guarda. 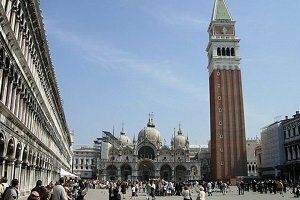 Comments mention that the tour operated very well and that it is a convenient way to visit Venice. Suited to people who enjoy travelling by coach. Very convenient for travellers without private transport. San Marco District is the most popular area in Venice but few tourists actually leave the main square. 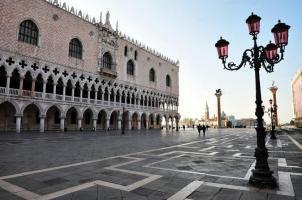 This is an opportunity to tour the streets around San Marco Square as well as visiting the cities top 2 attractions. Tour the San Marco district with an experienced local guide. 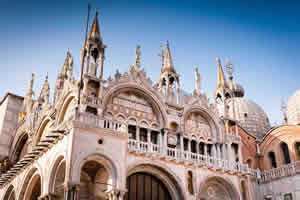 Visit the Doge's Palace and St. Mark's Basilica. Don't waste time waiting in line. There are mostly positive reviews for this half-day tour. Comment's point out that fast track entrance will save you a lot of time so this is useful if you're on a city break. Right for people interested in learning about the city. Family friendly and good for individual travellers. 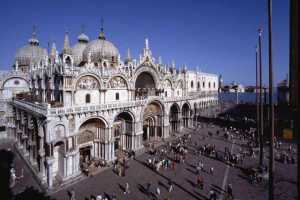 An opportunity to visit the Doge's Palace and St. Mark's Basilica in just a few hours. A comprehensive sightseeing tour which will teach you about city's most significant buildings. See inside the former political powerhouse. Tour the resting place of St. Mark. Learn about both locations from a knowledgeable guide. 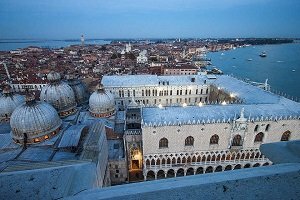 Both the Doge's Palace and St. Mark's Basilica are top rated Venice attractions on TripAdvisor. People who have participated in this tour have said that it is worth investing in skip the line entry. 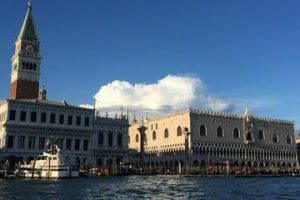 If you have an interest in Venetian politics and the origins of the city then this tour is right for you. An opportunity to get off the main tourist track and discover why locals love the famous floating city. This tour will cover the neighbourhoods and sights which a standard walking tour wont. Spend 90 minutes touring the hidden gems of the antique city. Learn about local life from a resident guide. Float on pea green canals in a classic gondola. Reviews for the guides of the Hidden Venice Walking Tour say that they are ‘engaging and witty' but also very informative. Travellers have a high opinion of this tour and ratings reflect this. Right for people who want to get away from the busiest squares and see the ‘real' Venice. Unlike a normal city Venice's public transport operates mostly on water instead of overland. This is convenient public transport pass for the mainland Venice, the Venetian Island's and Mestre. Travel around the city stress-free with unlimited use of public transport. Cruise to the Venetian Islands' at your preferred time. Take a bus to the Italian mainland. Free transport with ACTV for 1 to 3 days. 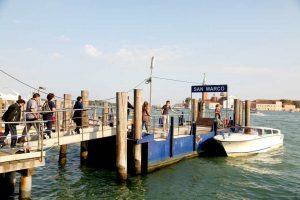 Reviews have recommended the public transport pass for visiting Murano or Burano and say that it's more cost effective than purchasing one-way tickets. Most comments also agree that the service is regular and runs very smoothly. If you prefer to travel without the strict itinerary then this pass gives you the freedom to do that. Have you ever seen the hordes of people who descend upon St. Mark's Basilica, waiting for hours to enter the sacred site? This magic ticket saves you the trouble of waiting in a very long line. Choose your time to visit when you make the booking. Go directly to the entrance and get inside the stunning cathedral. Use your extra time to fully explore the cathedral with your guide. Skip the line entrance ticket. Some comments have said that this is a ‘must-see' for everyone who visits Venice. The skip the line guided tour has high ratings and travellers say that this is a lovely way to see the cathedral. St. Mark's Basilica is essential for people with a passion for history, architecture and art, or an interest in Catholicism. The Doge's Palace was once the home of Venetian politics and it was in this very building that the richest merchants of Venice lived. This is a compact tour which will introduce you to the history of this building. Learn about the root of the Venetian Empire and hear the stories of the former political palace. Stroll through elaborately decorated halls and visit the musky dungeons. Book your tour and head directly to the Doge's Palace entrance. Travellers have left very good reviews for this tour which implies that it is defiantly worth the money. Comments frequently describe the tour as ‘fantastic' and ‘brilliant'. Right for people with an interest in history, art and politics. A convenient tour for visitors on a short stay in Venice. A combination of sightseeing over land and over water. This is an opportunity to see all the of the best parts of the Floating City in a compact half-day tour. Visit the highlights of Venice on a walking tour of the city. Take in the grandeur of San Marco Basilica. See the city like a Venetian on a classic riverboat. Skip the line to St. Mark's Basilica. Some comments have said that this tour is a good investment for seeing the sights of Venice. Generally participants are very pleased with this tour, reviews often praise the tour guides and say that they enjoy the walking and boating combo. Good for people visiting Venice for the first time, this tour will give you a comprehensive overview of the city. A personalised sightseeing excursion on the beautiful Venetian canals. An opportunity to see this marvellous city from the water. Cruise along the emerald green waters in a semi-private taxi boat. Learn about the sights from an English-speaking driver. Veer off the main waterways to float through narrow alleys. Cruise on the Grand Canal. People have said that this is an interesting tour of an interesting city. The Grand Canal Cruise has average 4.5-star rating and travellers would defiantly recommend the tour to visitors. Perfect for people who like to travel by boat. A good alternative to a walking tour, you will see parts of the city which are inaccessible by foot. A convenient sightseeing tour which gives you the freedom to hop off that any of the attractions in Venice. A flexible tour and transport pass. Cruise on the Venetian lagoon at your own leisurely pace. Listen to an onboard audio guide and enjoy the views. Use of Hop-On Hop-Off boat for 24 to 48 hours. Travellers have said that the boat cruise is a wonderful way to see the city. Certain comments point out that the full loop is quite long but you are free to hop off at any time. If you want to see a lot of the city then this is a great option. Good for families travelling with children or seniors. Two of the Venetian Lagoon's most profitable islands are Murano and Burano. One grew rich from blowing glass and the other from weaving lace. This is an opportunity to visit original workshops of each craft. Cruise across the Venice Lagoon to Murano and Burano. Enjoy a guided tour and free time on each island. Visit to glass and lace workshops. The Murano Glass and Burano Lace tour has received very positive customer reviews. Reviews have said that the tour guides are ‘exceptional' and the overall tour is ‘fascinating. This will appeal to a variety of people and to all ages. Artists and craftsmen will particularly enjoy it. This is a unique and fun evening walking tour. Take a dip into the dark side of Venice and hear the city's ghost stories. Hear the secret stories and myths of Venice. Visit sinister places in the city. Listen for the ghosts on the Piazza San Marco. Reviews for this tour on Viator are extremely positive with mostly 5-star ratings. Travellers seem to particularly enjoy the storytelling of the tour guide who ‘makes the tour come alive'. This is great if you are looking for an unconventional city tour. A day trip to the heart of the Italian Dolomites. A full-day tour from Venice with an experiences local guide. An opportunity to see traditional Swiss-Italian houses and soak up beautiful nature. travel through mountainous scenery to the ‘Diamond of the Dolomites'. Enjoy free time to explore Cortana. Take stunning landscape photos and have the chance to taste typical alpine food. They say that this is a fantastic way to spend a day in the alps. Travellers particularly like the small group size. If you're a nature lover, a photographer, or simply enjoy driving through mountain scenery then this is the right tour for you. Italy is beloved for its food and wine culture and in the city of Venice there are plenty of Cicchetti bars and wine bars to stop into. This tour is a comprehensive introduction for wining and dining in Venice. Visit eateries and wine bars around central Venice. 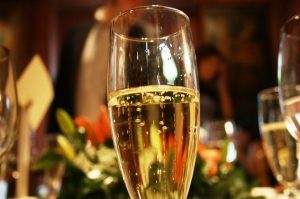 See where the local residents go to share a spritz or glass of prosecco. Travellers say that this is a unique and fun way to learn some of the city's history. Mainly reviews recommend the tour guides. It seems that most participants would recommend this tour to a friend and some have even taking it twice themselves. This tour is right for wine lovers, foodies and people looking for a sociable group tour. The Accademia Gallery was opened as an art school in 1970, it now hosts one of the most comprehensive collections of Italian art in the world. 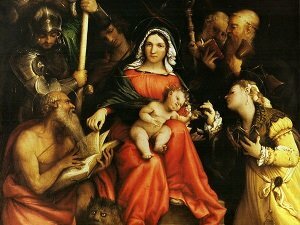 This is a chance to see the masterpieces of revered artists including Molin, Bellini, Tiziano, Manfrin and more. Get fast-track entrance to Venice’s best art gallery. Take your time to browse the collections of mediaeval art, Venetian paintings, Renaissance masterpieces and Austrian paintings. Enjoy access to the gallery’s temporary exhibits. Visit the museum at you preferred time and at your own pace. Art lovers have raved about this brilliant Venetian art gallery. The majority of visitors would say that skip the line entry is worthwhile and that the tickets are good value. The Accademia Gallery is a very highly rated attraction on Trip Advisor. Right for historians, artist, art lovers and those who want to learn about the history and development of Venice. Great for people with limited time in the city. Suitable for all ages and accessible for wheelchair users. 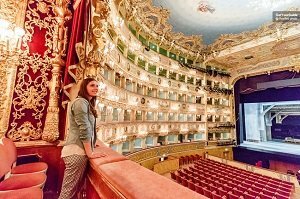 A convenient fast-track entrance ticket to the La Fenice Opera House. A chance to explore inside a world-famous 18th century theatre. Skip the queue to La Fenice Opera House. Tour the lavishly decorated interior at your own pace. Gaze down at the stage from the Royal Box, marvel at the grand Foyer and visit the Apollonian Halls. Learn about Maria Callus, one of the greatest opera singers of the 19th century, in an exhibition dedicated to her life and music. Multilingual audio guide (or live guide is selected). This attraction if one of the top 20 things to see and do on Trip Advisor. Visitors have described the theatre as magnificent and beautiful. This tour is perfect for theatre fans, artists and music lovers. Ideal for people who prefer to take relaxed self-guided tours. An ideal attraction for people with limited time in the city, this is not a huge attraction so you should only need 1-2 hours to visit. Suitable for both adults and children.